IJDH’s work with Congress led the Senate to include $12 million for the UN’s Cholera Trust Fund to assist cholera victims in its Appropriations Bill, this is despite Trump Administration opposition. We now need to convince the House of Representatives to keep that investment in the final Bill. Also, Norway has announced that it will contribute $800,000 and Belgium promised a contribution of $300,000 to the cholera fund. We have a long way to go until the UN’s promises are backed by full funding. But we are forcing continued progress, which could not happened without your continued support for IJDH and BAI advocacy and legal work. Let’s keep the pressure on. 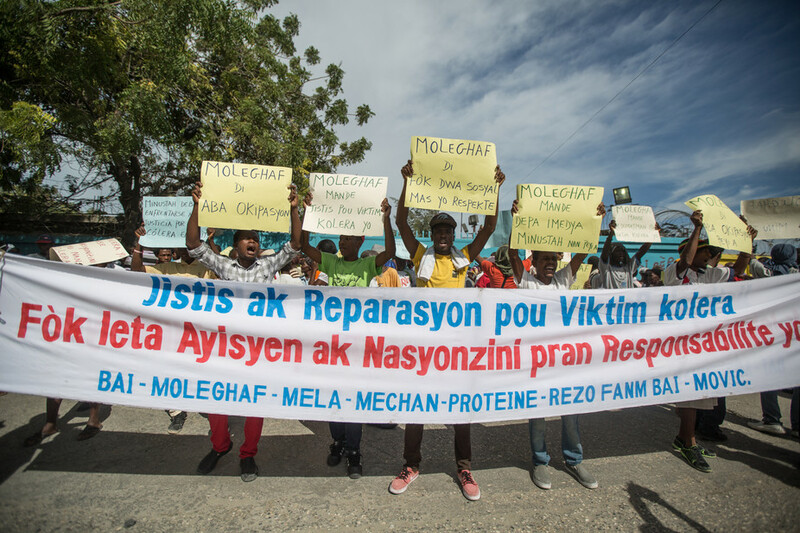 Call your representative today, tell him/her to support the Senate Committee authorization of $12 million to fund the UN’s New Approach to Cholera in Haiti to eradicate the disease and save lives in Haiti. You can make justice happen, one phone call at a time.